Updated: MIUI 10 is now available for more Xiaomi devices including Mi Note 3, Note 4X, and Note 5 Pro, Mi Mix 2, Mi Mix 2S, Mi 6, and Note 5 Pro. MIUI 10 stock apps added. Gapps for MIUI 10 now available! Xiaomi just announced its next generation MIUI 10 firmware update which comes with several new features and enhancements as compared to the last year’s MIUI 9. The best part is that MIUI 10 is based on Android 8.0.0 Oreo. Though this is not the first Oreo ROM from Xiaomi, the MIUI 10 sure brings several features such as the new Personal Assistant, Mimoji, Split Screen, new UX, and all the Oreo goodies. So download and install MIUI 10 official ROMS for several new Xiaomi devices such as Redmi Note 5, Mi 5, Mi 6, MiX2, and many more to come. We have also listed all the MIUI 10 stock wallpapers, themes, ringtones, and apps. APK files are not yet available because the MIUI 10 firmware is pretty new at the moment. But you can enjoy the latest built-in wallpapers and ringtones. The concept MIUI 10 theme will also hold your interest. Here is a short video of the latest MIUI 10 features, user interface, changes, and more. Update 1: MIUI 10 Global Stable ROMS now available for Mi 8, Mi 6, and Redmi Note 5 Pro, Redmi 5 Plus, Redmi Note 5 (Indian), Mi Mix 2, Mi Mix 2S, and more. So download now! Update 2: MIUI 10 Global Beta ROMS for Mi Note 3, Note 4X, and Note 5 Pro are now available for download. Along with MIUI 10 Global Beta ROMS for the Xiaomi Mi Mix 2, Mi Mix 2S, Mi 6, and Note 5 Pro. Update 2: Gapps for MIUI 10 are now available for download. Listed below. Here are the MIUI 10 Global Beta ROMs for the following devices. Do note that these are Beta ROMS. Meaning, they may come with bugs. However, they do come with Google Play Services, so that’s great. Notes: You may need to flash Lazy Flasher once you flash the MIUI 10 ROM for Redmi Note 5 Pro. Here are the MIUI 10 Leaked China Alpha and Beta ROMs for the following devices. Beware these are Alpha ROMS. Meaning, they are only for testing purposes. Moreover, these are Chinese MIUI 10 firmware builds. So they do not come with Google Play Services and apps. See also: How to install MIUI 10 ROM on your Xiaomi device? Download the latest TWRP for your Xiaomi device. Read: How to install TWRP? Flash the MIUI ROM using TWRP recovery. You will also need to flash Gapps. Here are several categories of MIUI 10 and Mi 8 official wallpapers. First set consists of the built-in official wallpapers of MIUI 10 a total of 77 QHD and Mi 8 wallpapers. 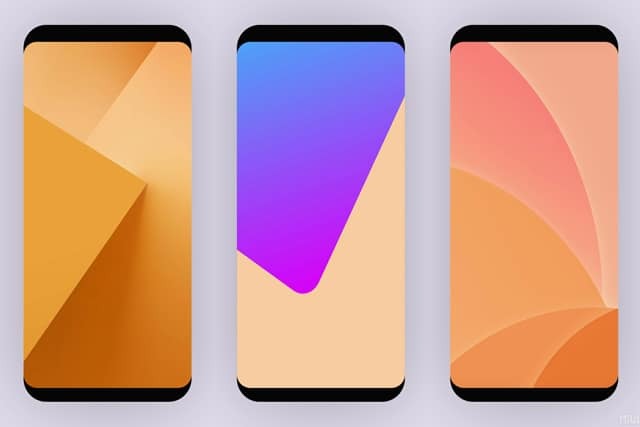 The second set includes MIUI 10 branded theme wallpapers. The third set includes Mi 8 desktop wallpapers. Extract the zip and apply. The following consists of all the ringtones from MIUI 10, Xiaomi Mi 8 smartphone, and the Mimoji sound as well. It is a small 2.29 MB file. Download from below. Extract the zip and apply. The following MIUI 10 is a concept theme designed to look very close to the MIUI 10 launcher. So download and install if you like. Moreover, bookmark this page for future reference because we would update the official MIUI 10 theme and official Mi 8 themes below. The apps are also no available. You can settle for the leaked MIUI 10 ROM from above. Keep following us for more such interesting posts.